The Rolex Awards for Enterprise are biennial awards for individuals who possessed conviction for taking on major challenges to improve lives, protect the world’s natural resources and cultural heritages. The Rolex Awards for Enterprise support pioneering work in applied technology, cultural heritage, environment, exploration, and science/health. The awards since 2009 have focused on Young Laureates between the age of 18 and 30 years old and their stories are posted on YouTube. Erika Cuéllar, Boliva: Cuéllar has spearheaded participatory conservation with the indigenous Guaraní people who live on the boundaries of the park. She has worked towards improving grassland management and local capacity building by training local people to take ownership of the conservation of their habitat. Mark Kendall, Australia: With the “Nanopatch™” that Professor Kendall is developing at a cutting-edge bio-engineering research institute at the University of Queensland, in Australia, a host of problems linked to the traditional needle and syringe will be swept away. Barbara Block, United States: As a professor of marine biology, she has developed innovative electronic tagging techniques that enable following fish beneath the sea. In the late 1990s, Block helped develop the first pop-up satellite archival tag, a device that detaches itself from the fish on a pre-programmed date and floats to the surface of the sea where it transmits archived data via satellite. Sergei Bereznuk, Russia: For the past 17 years, Sergei Bereznuk, a staunch Russian conservationist and ecologist, has been working valiantly to save the Amur tiger. Based on his experience since 1995 with a tiger anti-poaching brigade in the Primorsky Krai, the Russian Far East province commonly known as Primorye, Bereznuk is convinced that saving the Amur tiger depends on both the efficiency of anti-poaching measures and the education of the local people, two elements at the core of his Rolex Award-winning project. Aggrey Otieno, Kenya: After studying in the United States, Aggrey Otieno returned to the slum, his birthplace, to improve the health of his community by empowering its people. With his knowledge of the area, Otieno, who has gained a well-deserved reputation as a valiant champion of the poor and vulnerable residents of Korogocho, is well placed to drive forward his project to build a telemedicine centre with a 24-hour, on-call doctor and van, thereby helping to prevent many deaths. The Rolex Awards for Enterprise was launched back in 1976 to commemorate the 50th anniversary of the Oyster chronometer. Rolex Laureates are of all nationalities and are recognized for independent thinking and capacity to implement projects that require creativity and determination. Given every two years, Laureates receive their awards at a special ceremony in the presence of distinguished guests. Each Laureate receives 100,000 Swiss francs, and Young Laureates receive 50,000 Swiss francs and access to its network of more than 100 past Laureates. 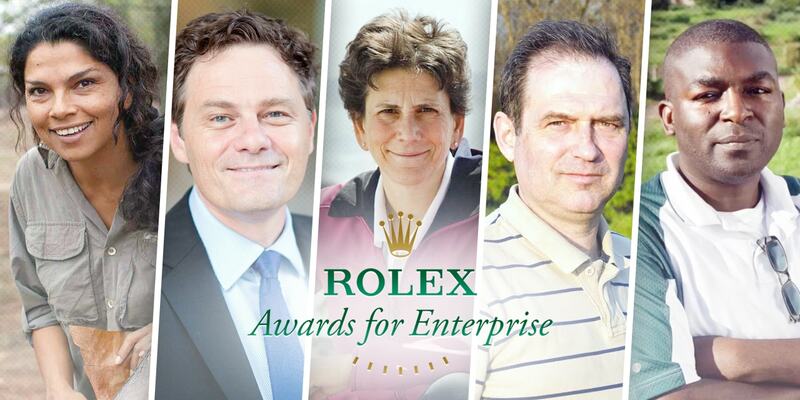 The 2014 Rolex Awards for Enterprise is also devoted exclusively to Young Laureates who can apply now at http://www.rolexawards.com/about/apply.